Graduated from School of Agriculture Gegerkalong Bandung in 1979/1980; from 1982 to 1997 (over 15 years) he was worked in various consulting company as an expert in Agriculture (Soil Classification, Soil Conservation and Land Suitability) in various places in Indonesia. In the year 1997 – 2001 he was joined the European Union (EU) in Berau Forest Management Project (BFMP) in Berau to conduct various studies in forestry, agriculture and social economy. These studies were related with Sustainability forest management. 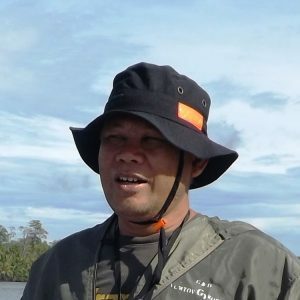 Then in Forest 2001 – 2005, he joined The Nature Conservancy (TNC), as the Program Coordinator and GIS Expert for Berau district. In 2005 – 2008, He became a GIS expert in Tropenbos International (TBI), involved in a various research in the forestry sector. Studies related to Sustainable Forest Management, Erosion Hazard Assessment Hazard Assessment Level Erosion and Land Capability for the entire Kalimantan to support the Provincial Spatial Plan and Guidelines for Determination of HCV 4 (Environmental Services) for the Toolkit 2008 and participate in the preparation and trial of HCVF Toolkit 2008 guide Indonesian version. From 2008 – Now , Junaedi become an Independent Consultant for Mapping, Regional Planning, Feasibility Study, EIA, HCV and Land Suitability Assessment various kinds of Commodity Agriculture and Forestry.